KLAMATH FALLS, Ore. – A tour of trees and shrubs native to the Klamath Basin will be offered at 10 a.m. Saturday, Feb. 24, at the Klamath County Museum. 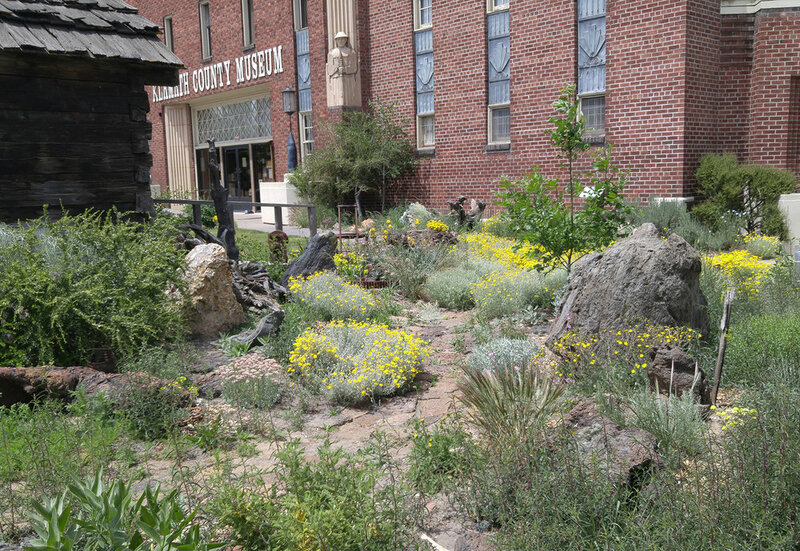 The tour of the museum’s native plant gardens is being offered one week in advance of a tree and shrub seedling sale scheduled for March 3 at the museum. A planting demonstration will also be streamed live on the museum’s facebook page at 3 p.m. Wednesday, Feb. 28. Kepple said more than 1,000 seedlings have been ordered for the sale on March 3, with nearly half of those reserved for pre-orders. The remaining seedlings will be sold for $1 to $1.50 each on a first-come, first-served basis starting at 9 a.m.
Oregon ash and Oregon white oak seedlings will be available. The list of shrubs expected to be available include twinberry honeysuckle, redosier dogwood and oceanspray. All of the species are represented at the museum. The seedling sale is cosponsored by the Klamath County Museum, the Klamath Basin Chapter of the Native Plant Society of Oregon and the Klamath Soil and Water Conservation District. Other native plant events planned for later in the spring include a naturescaping workshop on April 28, and a sale of wildflowers and shrubs on May 19. Space for the naturescaping workshop is limited, and preregistration is required by contacting the museum at (541) 882-1000. A donation of $10 is suggested to cover workshop expenses.